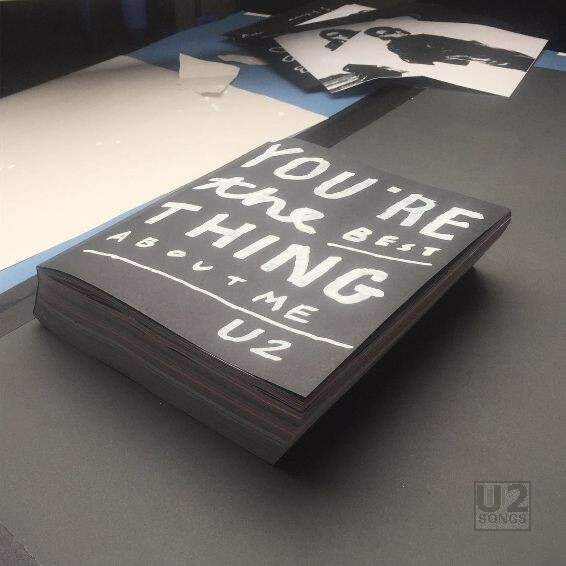 The lyric video for “You’re The Best Thing About Me” debuted on U2’s Vevo channel on September 6, 2017 at 8am EST. The release of the single to radio, streaming services and the like was at the same time. 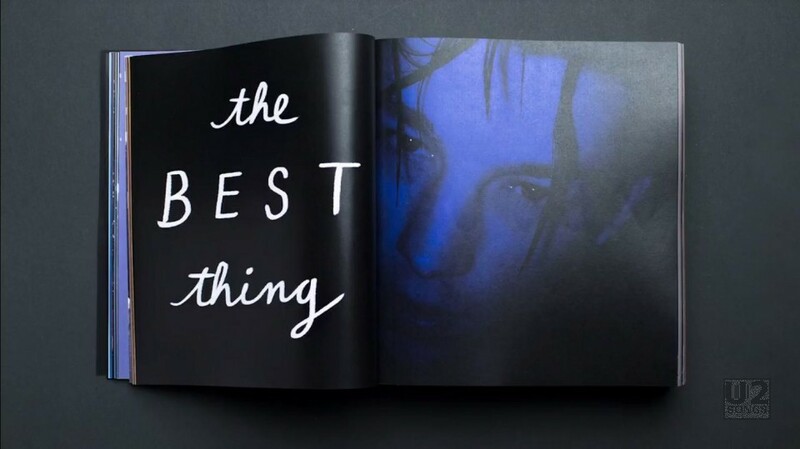 The lyric video features a book which opens, and on each subsequent page you see different images, as well as the text of the song. 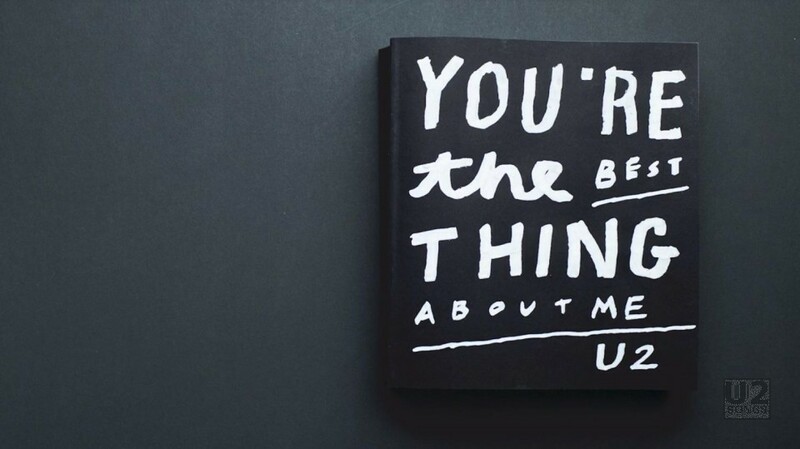 The lyrics are playfully presented, for instance preceeding the lyric “full of shooting stars” the book fills with stars. 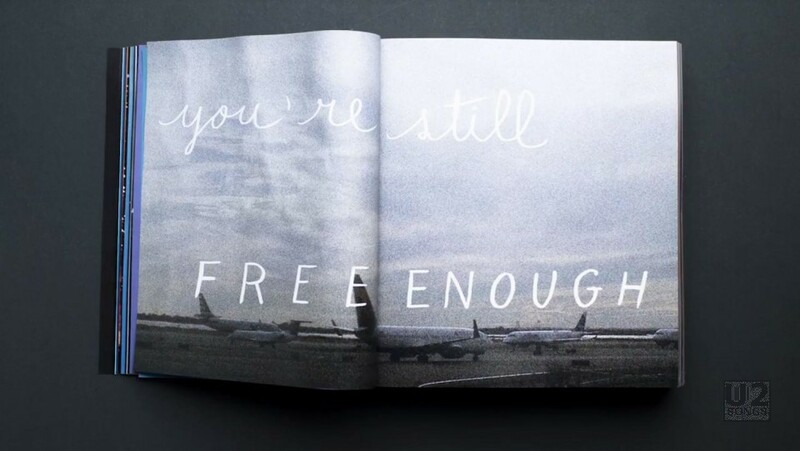 And later when it mentions “vanishing” the book gets brighter and the pages flip to white. At one point the image changes so that we see three separate books. Behind the words are many different images, including two darkened faces in various colours, a young woman in red and a young man in blue. At one point we see Bono dressed as the Fly, getting crumpled up and thrown away. 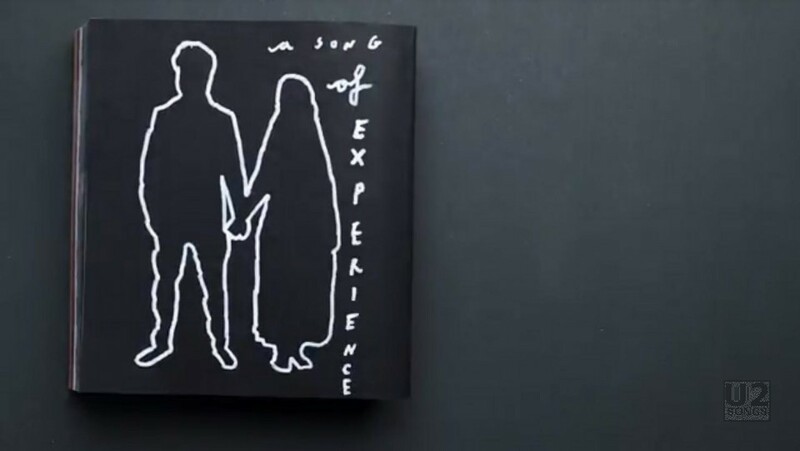 The video ends with the subtitle “a song of experience” and the outline of Eli and Sian that may be featured on the front cover of Songs of Experience. The book in the filming was actually three books. 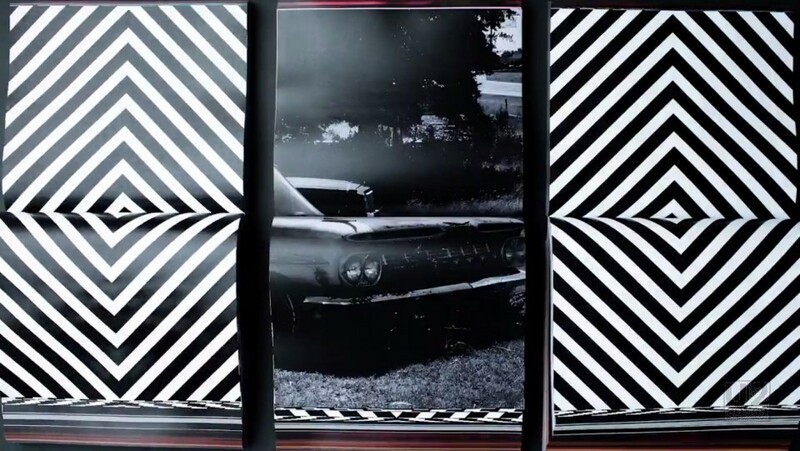 There were three 900 page books created, using Santiago Carrasquilla’s text, and David Mushegain’s photography. The gradients used were by Danica Tan. After the books were created, the three books were set up and shot using a program called dragonframe. 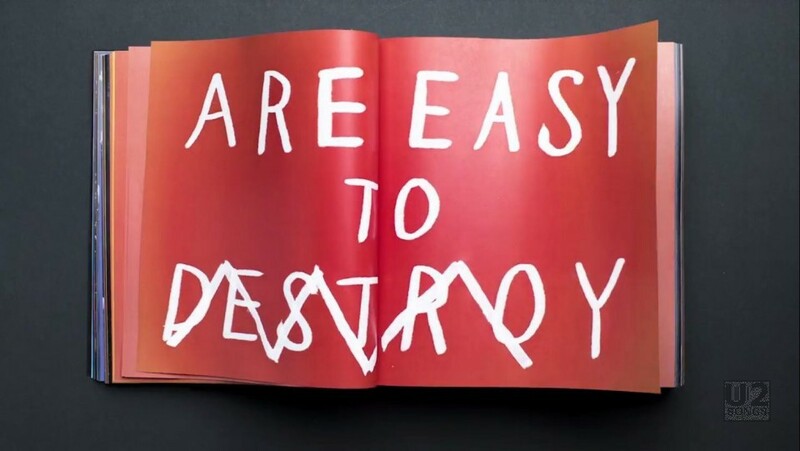 A picture of one of these completed books can be seen below. At this point the video for “You’re The Best Thing About Me” has not been released on any U2 commercial release. A second video for the song is expected, and was filmed in Amsterdam during U2’s The Joshua Tree 2017 tour.